Tony Parker made his return to San Antonio for Spurs game but this time in a different jersey on the other team. Never thought I would see any of the big three playing against the Spurs in a NBA game but it happened. 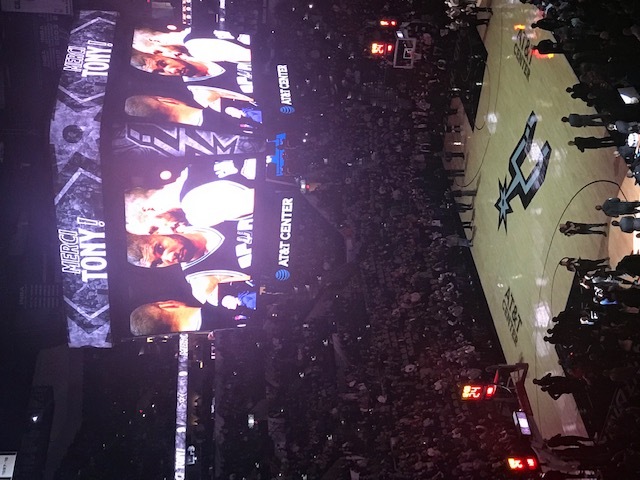 The organization put on a great tribute video for Tony "Merci Tony" before the game that followed a loud round of applause including myself...it is safe to say no body in San Antonio wanted to see Tony Parker leave and is still a fan favorite for ever. Crazy to think about all the years Tony played for us (pretty much my entire adult life) and the video did a great job of running through the time stamps that so many Spurs fans can remember and cherish. 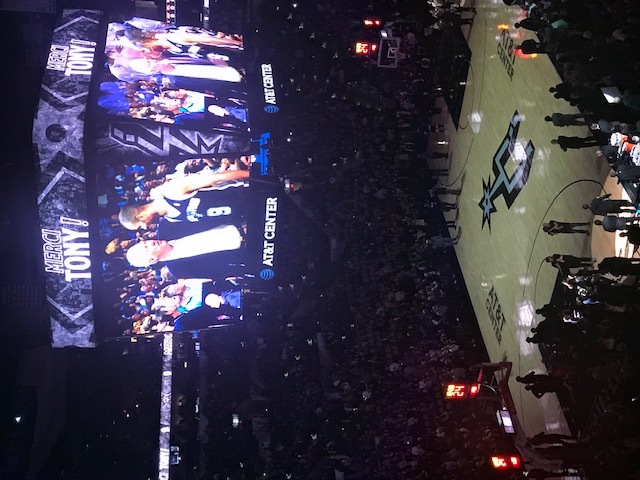 Tony played some good minutes always followed by cheers when touched the ball and in the closing moments of the game when the outcome was out of reach he came back in for one more standing ovation from the Spurs fans! One day TP's Spurs jersey will be hanging from the rafters here. San Antonio Spurs vs Bobcats January 2019 - Tony Parker's first game back vs the Spurs.